A couple of weeks ago, I opened up the college admissions portal on my phone. With shaky hands, I fumbled with the password for before logging on. However, I wasn’t searching for my own college acceptances or rejections; no, I had already done that nearly a decade ago. This time, I was looking at the results for the high school students whom I had interviewed throughout the world. This is my second year volunteering as a college alumni admissions interviewer and, in 2019, I talked to nine aspiring applicants for my alma mater, a liberal-arts oriented Ivy League college. The students were leaders, volunteers, artists, and students with exceptional promise and optimism. However, despite writing glowing recommendations, none of my U.S.-based candidates were admitted. Success depends on what a student does in college, not what school they attend. I was sorry that the university had missed out on some outstanding applicants. However, particularly for the most promising among them, I was not too worried for their futures, because, during their interviews, I saw the drive and the hunger that would allow them to be successful wherever they would go. 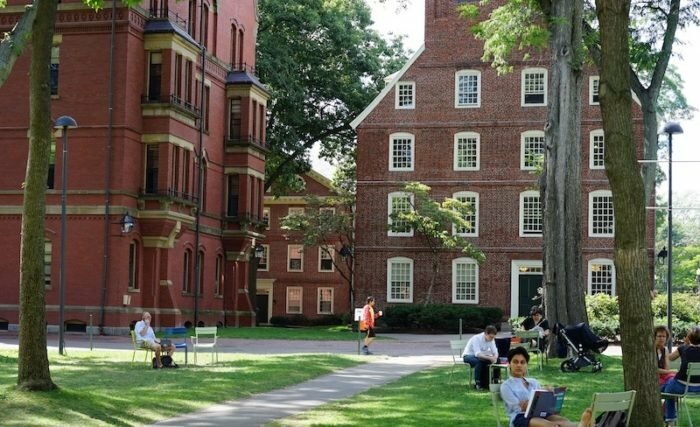 For students and their parents who are disappointed by this year’s college admissions cycle, it may seem easy for me to say the above since I’ve already graduated from a selective college, which – admittedly – was fully intentional on my part. As a first-generation, low-income high school student, I knew that education was my best shot at middle-class prosperity. Back when I was applying, I saw the Ivy League not just as a good college athletics conference, but as the most obvious brand in higher education associated with power and success. Still, I’ve also seen people burn out or self-detonate in the Ivy Leagues and in its peer institutions (Fun fact: the Harvard hoax bomber went to my high school. I was not surprised to hear what he had done.). Regardless of the strength of their pedigree, there were those who had lost their motivation, were unable to overcome academic or professional challenges in college, or were weeded out from pursuing their original goals. Some of them lamented that they should have gone to their state schools instead. Once I was in the real world, I saw that the advantages of one’s educational background paled in comparison to a person’s own willpower, ability, and work ethic. For example, my medical school, some of the peers and mentors whom I admire the most were former community college transfers students, alumni of smaller colleges, or graduates of local San Francisco institutions. I saw the admissions result; I’m sorry. During our interview, I got a glimpse into your drive and passion; I’m sure these traits will help you be successful wherever you go. You’ve probably received acceptances to other amazing schools. Still, I wanted to let you know that the college you pick won’t define your success, only you can. I’m certain that you will do well and become someone that your family and your community can be proud of. Keep up the amazing work, and I hope to see your name shine in the future. Feel free to email me later if you think that I can help in any way, especially if you are interested in pursuing science or medicine. Best of luck! I’m certain that most of them received acceptances to other outstanding colleges and universities, so perhaps my words were superfluous, even presumptuous. Still, I wanted them to know that the colleges they attended wouldn’t define their success; only they could. Yoo Jung Kim is an M.D. candidate at Stanford. She graduated from Dartmouth College with an A.B. in Biology. She is also the co-author of What Every Science Student Should Know (University of Chicago Press, 2016).